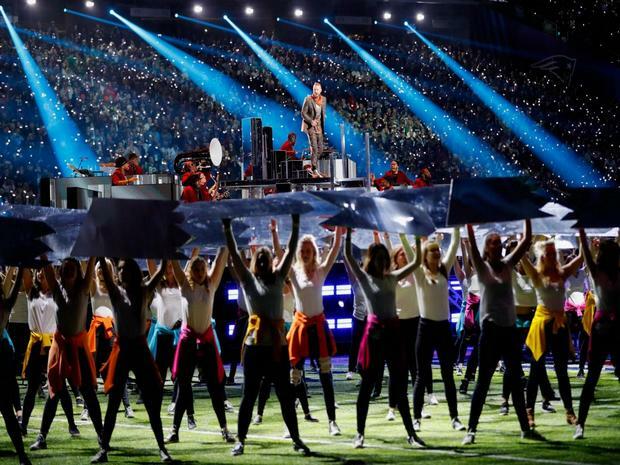 Montreal, QC, Canada – February 6, 2018: PNH Solutions was proud to be a part of the NFL Super Bowl LII as a print supplier for the stage props that were used during Justin Timberlake’s Pepsi Half Time Show, on February 4th, 2018, at U.S. Bank Stadium, in Minneapolis. Following a collaborative design process that took into account the client’s original concept and budget, PNH Solutions supplied a total of 500 stage props, measuring 28” W x 48” H, with 4 distinct shapes. 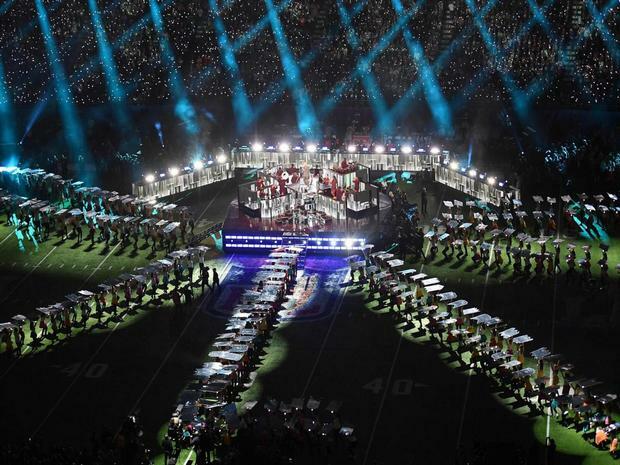 As lightweight structures with built-in handles, the dancers were able to move them easily throughout a portion of the halftime show. With a reflective mirror finish on one side and printed blue, orange, yellow, green and pink on the other, the stage props were able to create a strong visual effect. 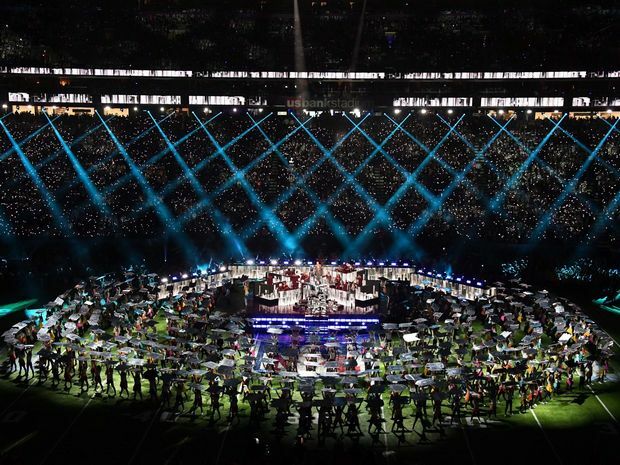 During Timberlake’s Grammy Award-nominated song ‘Mirrors,’ the dancers used the reflective side to create a shimmering effect with the stadium lighting. For his final song ‘Can’t Stop the Feeling,’ the dancers used the other side of the props, with colorful printed fabric panels, to create a light, uplifting atmosphere. 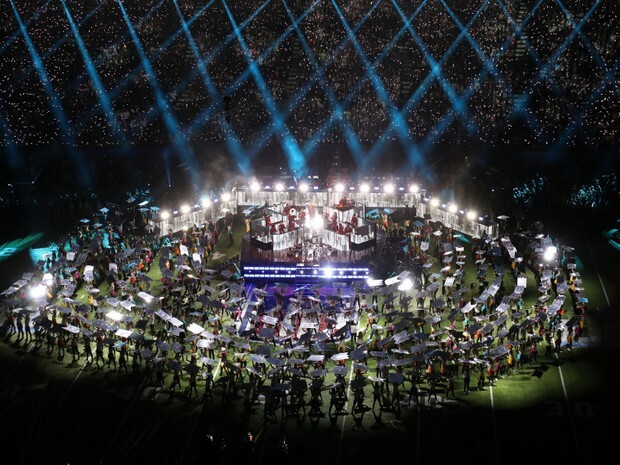 While it was the first time that PNH Solutions produced stage props for the Super Bowl, the large format print supplier, has supplied scenic elements for several other world-class, large-scale productions, like the closing ceremony for the 2015 Pan American Games, the 2016 and 2017 Invictus Games and the 2017 Victoria’s Secret Fashion Show. With fully integrated production facilities in Montreal and Toronto, PNH Solutions was able to manage all stages of production, from product development to print and finishing, in order to complete the project in an, especially short time frame.